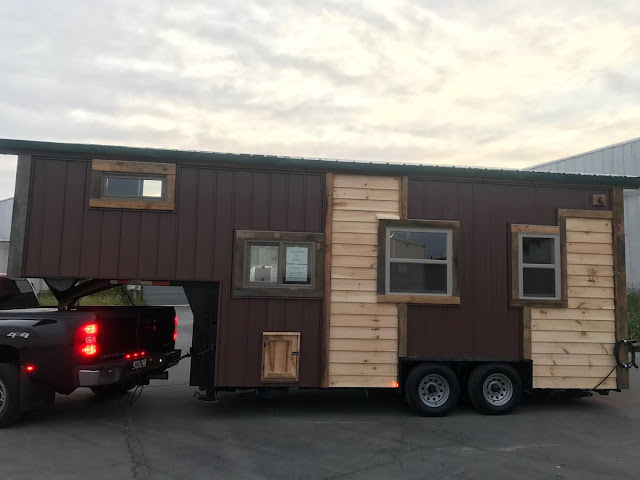 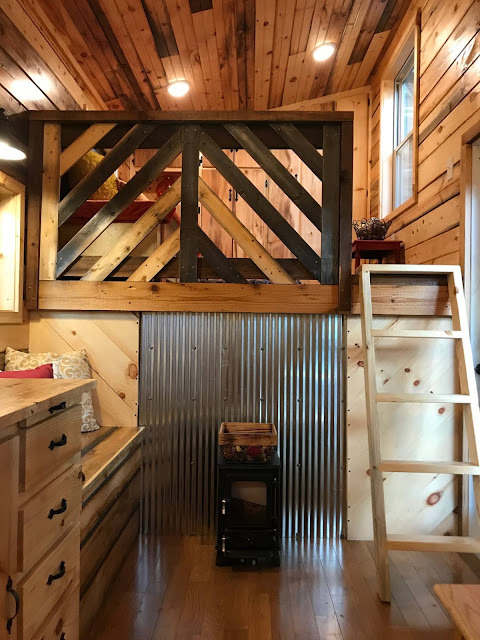 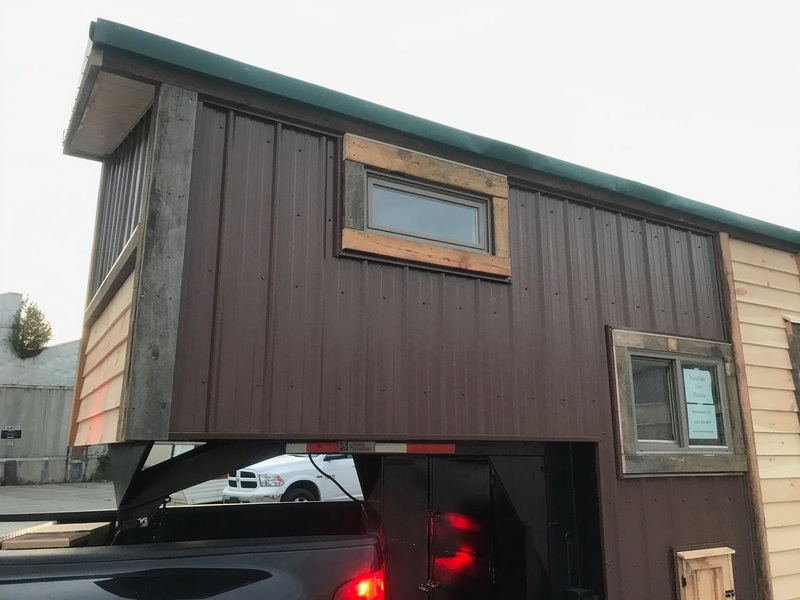 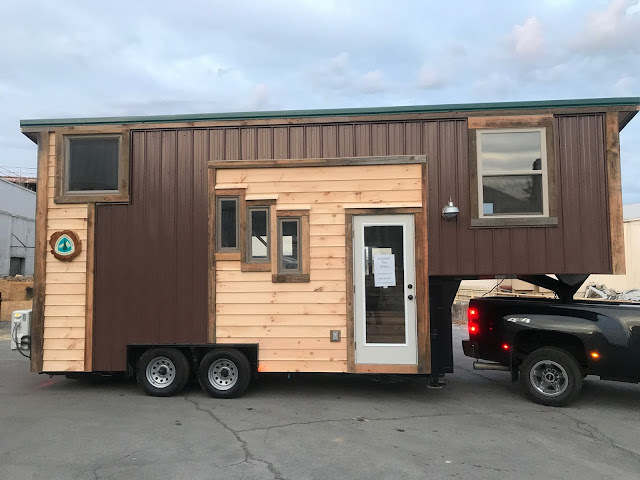 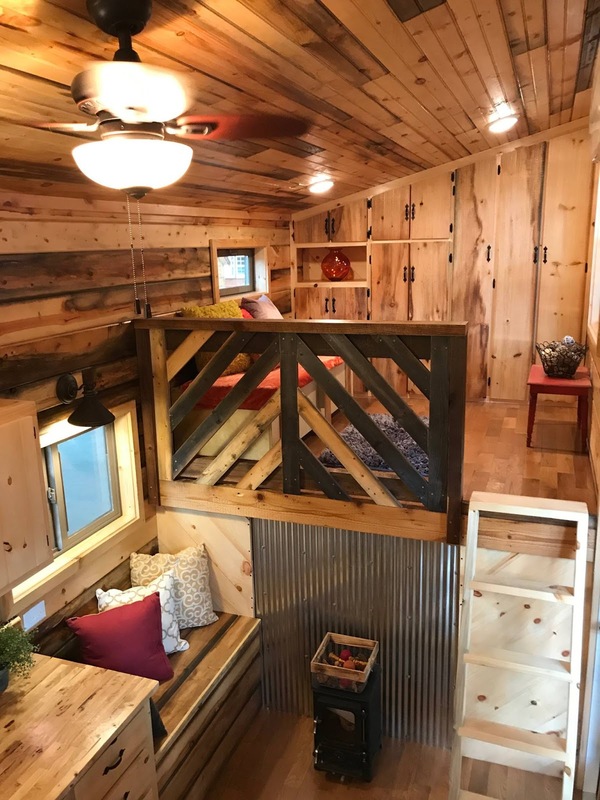 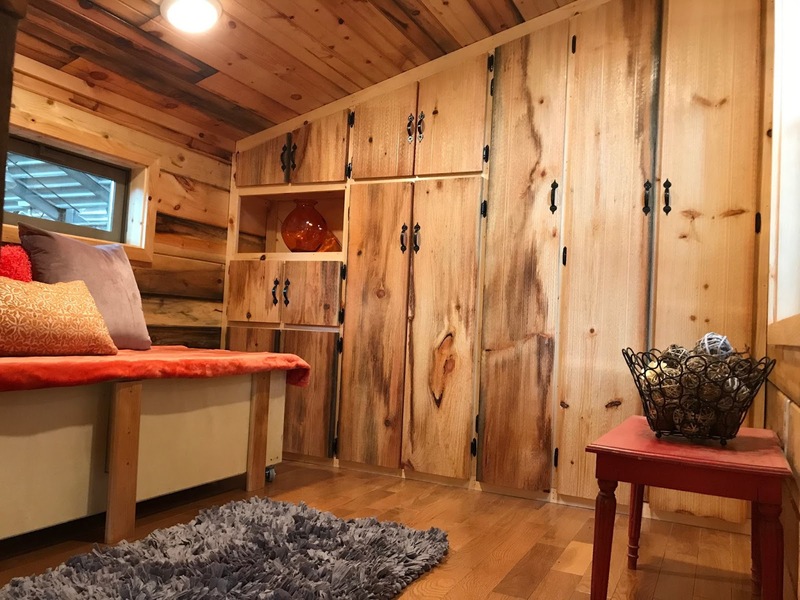 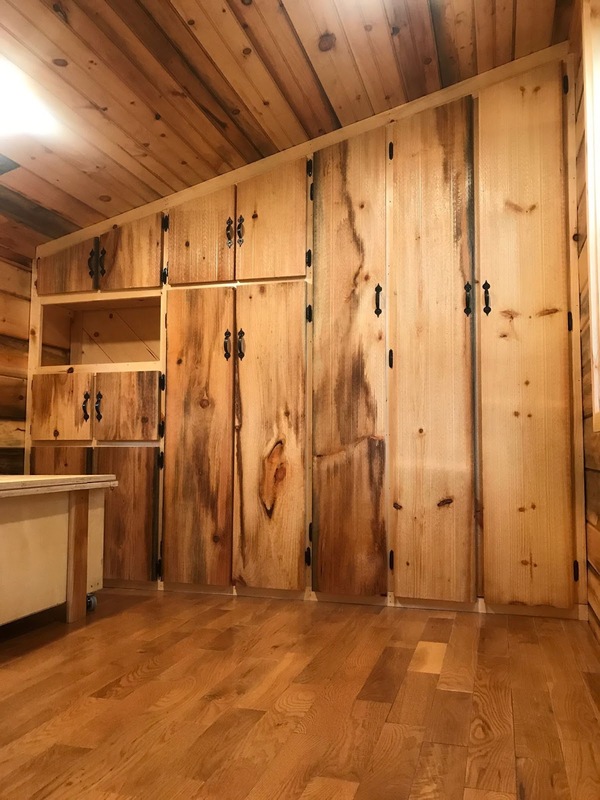 The Coyote Cabin is an 18’ trailer with an 8’ gooseneck created by Incredible Tiny Homes. When you enter the front door of the house, you will walk into the main living area furnished with a sitting bench and mini fireplace. 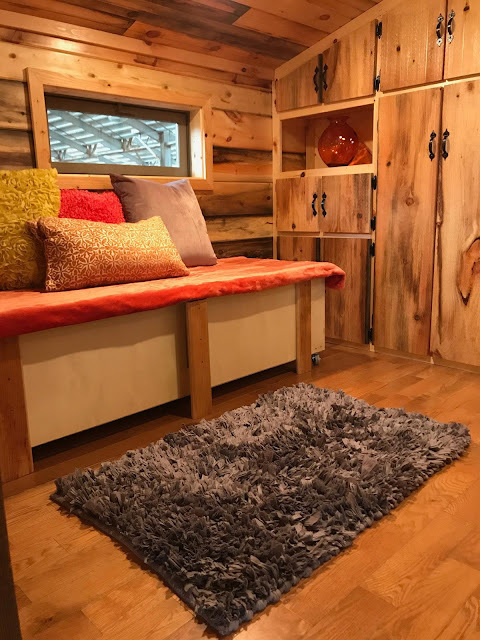 To the right of the living area is a ladder that leads up to another spacious living space featuring another seating bench and built-in wall storage. 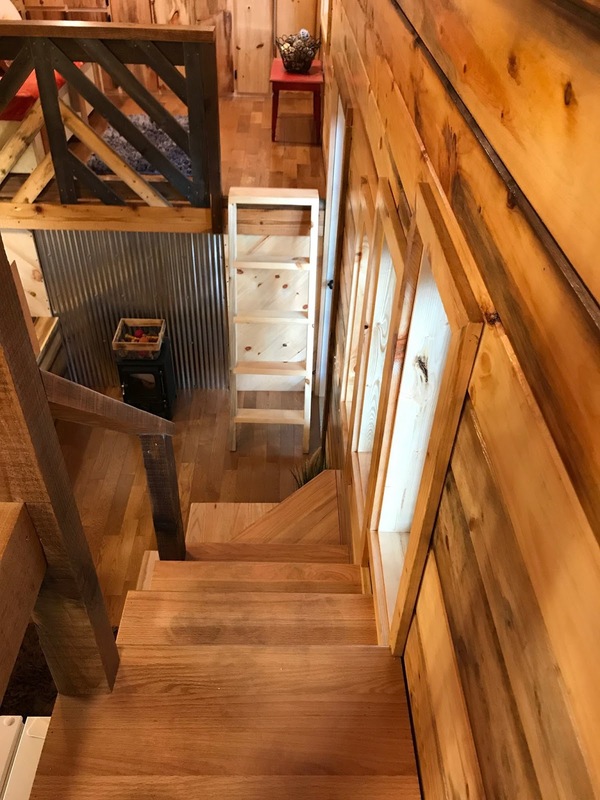 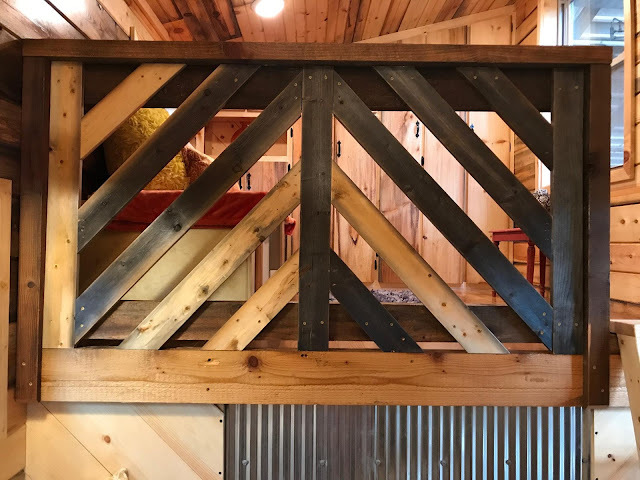 If you go up the stairs on the left side of the house, by the kitchen, you will enter the lofted bedroom. 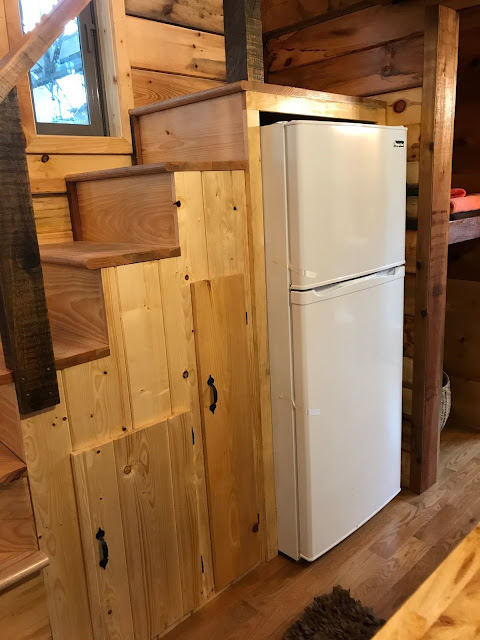 Beneath this staircase on the left side of the home is the white, full-sized refrigerator that matches the 4-burner stove/oven located on the opposite side of the kitchen. 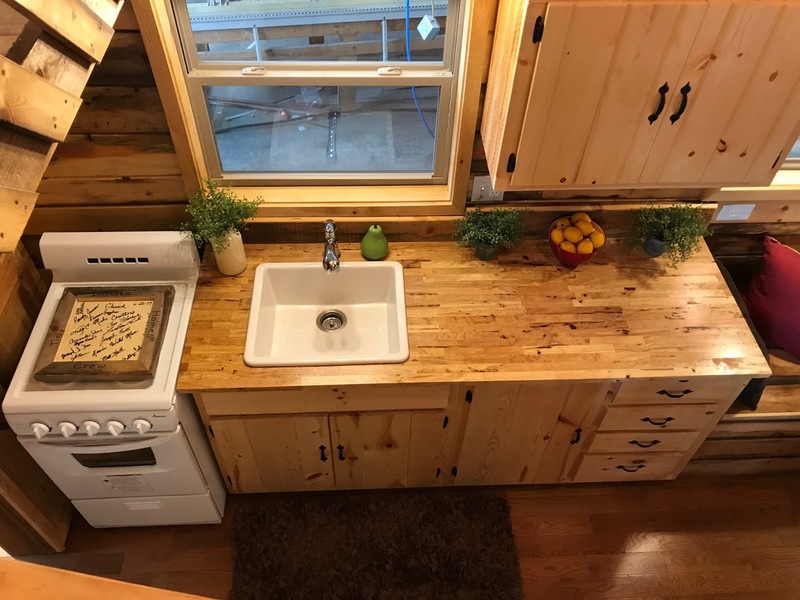 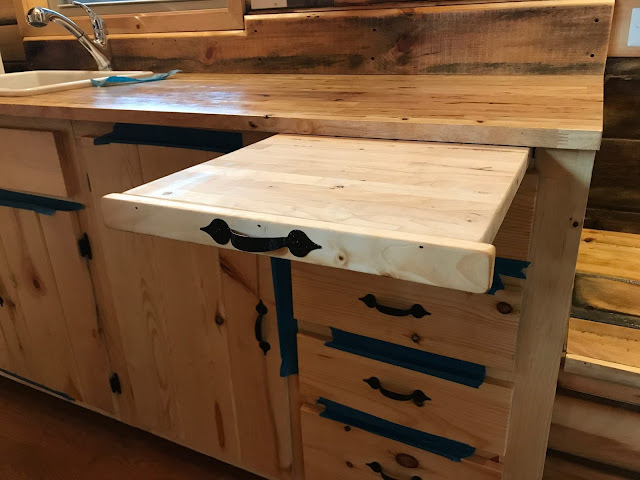 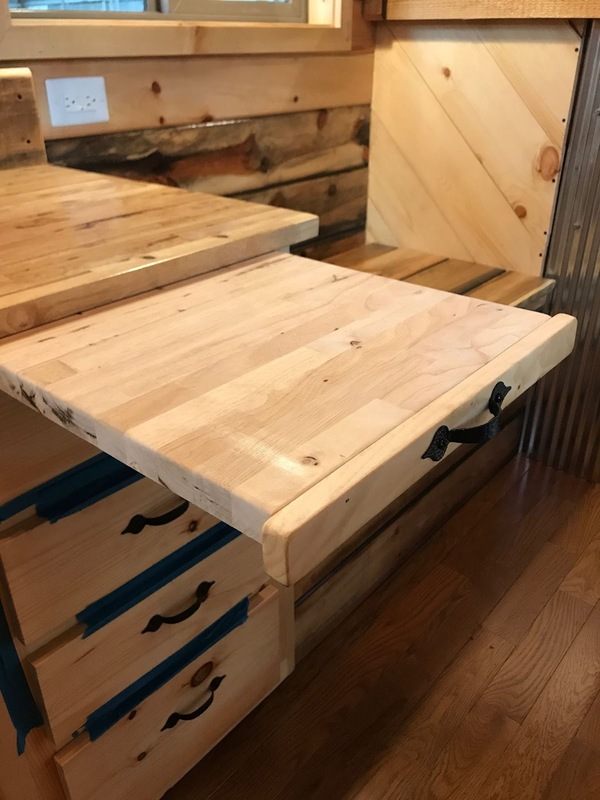 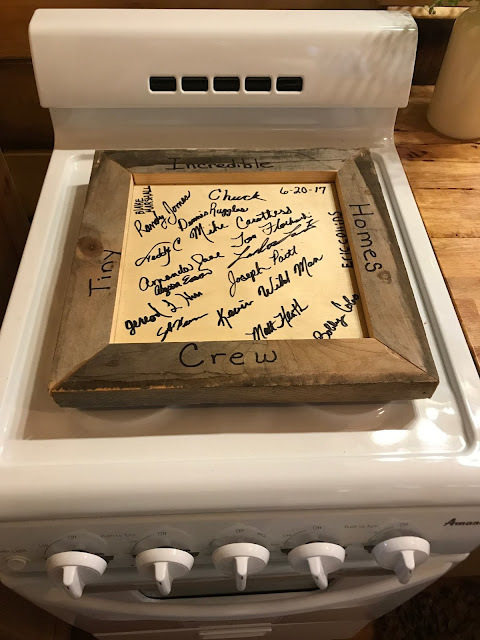 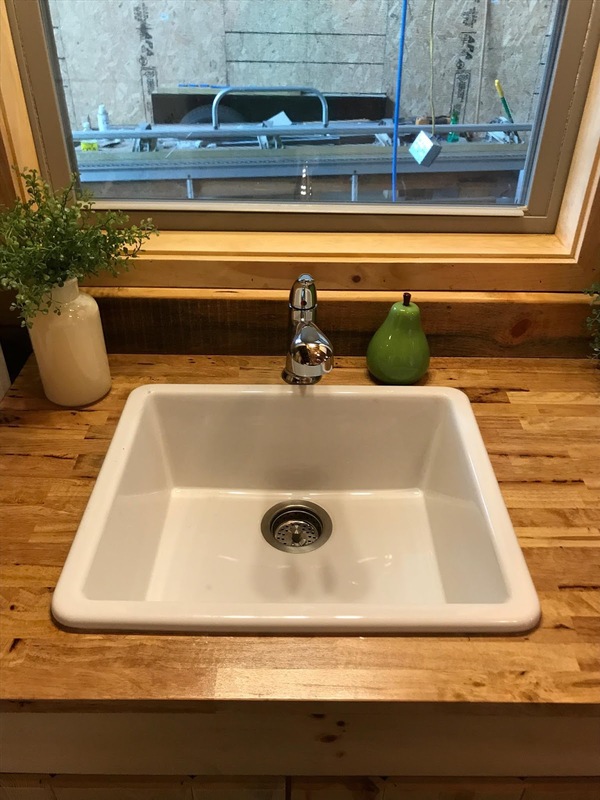 Other notable features of the kitchen include the deep sink, knotty wood kitchen countertop with matching cabinetry and the neat cutting board that pulls out (like a drawer) from underneath the countertop. 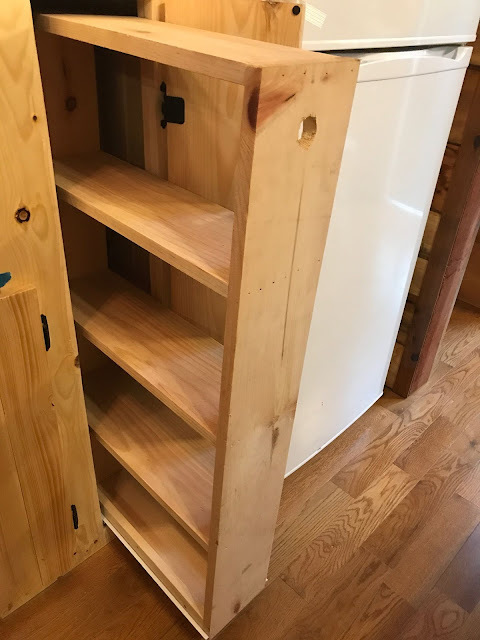 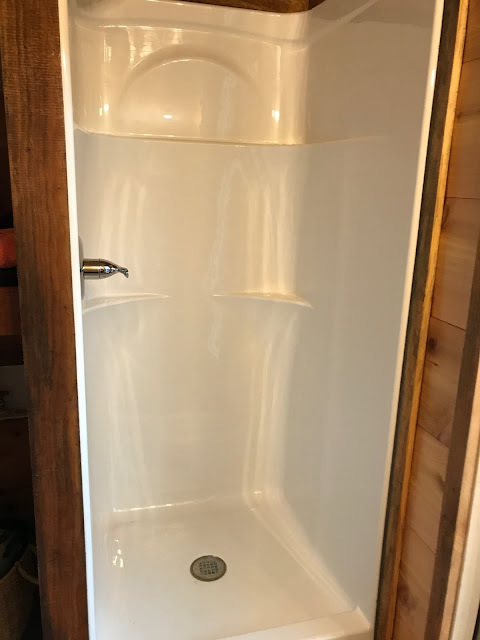 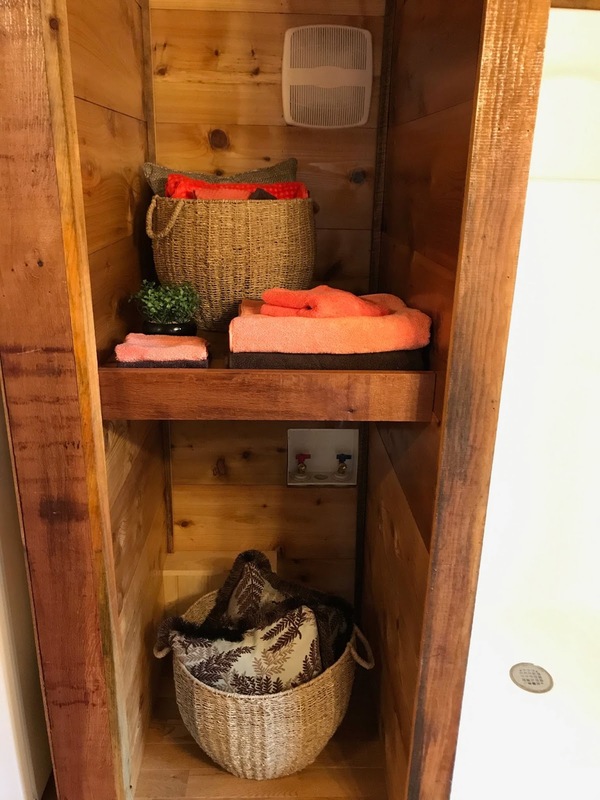 Walk past the kitchen, and you will come to a bathroom featuring a toilet, sink, walk-in shower and shelving for linen storage. 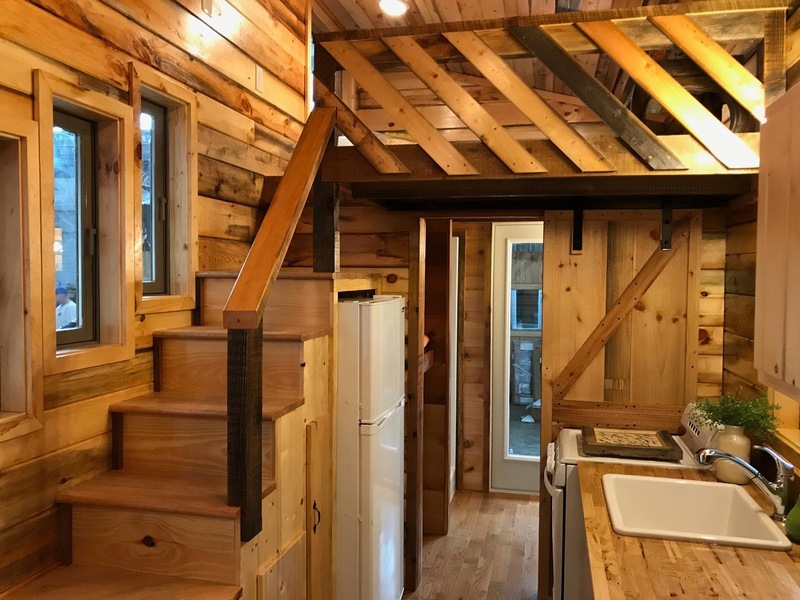 The base price of this home is $44,950! 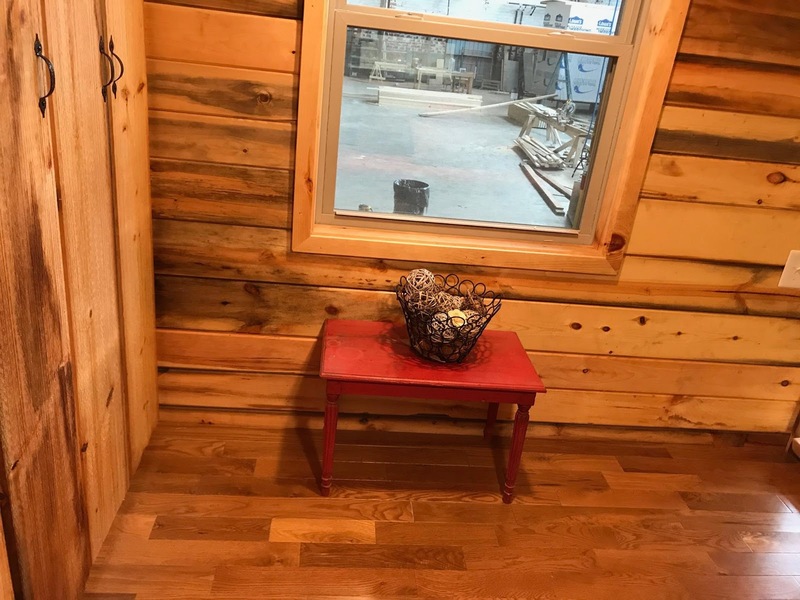 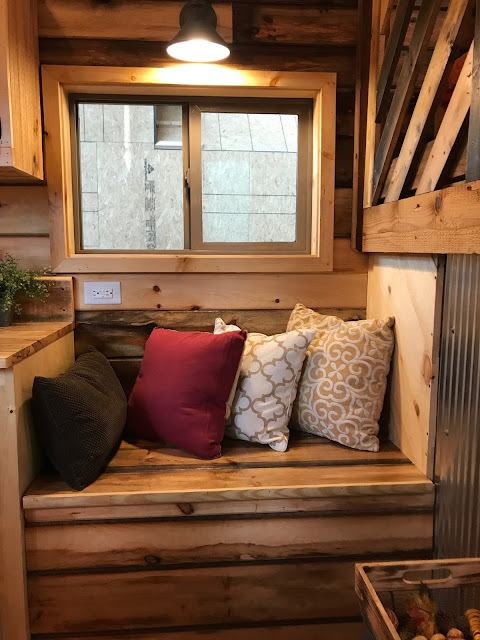 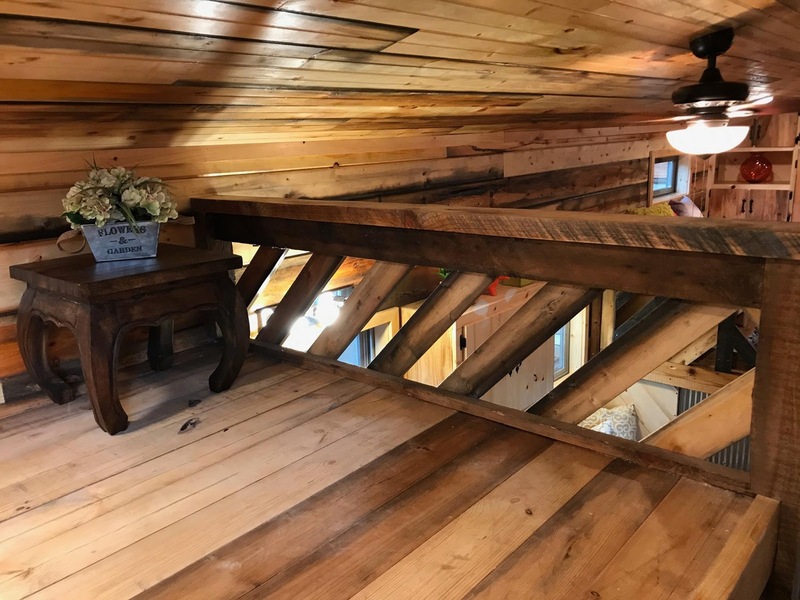 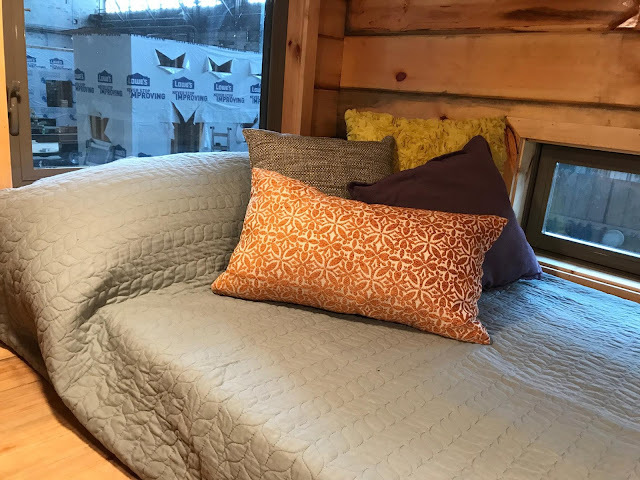 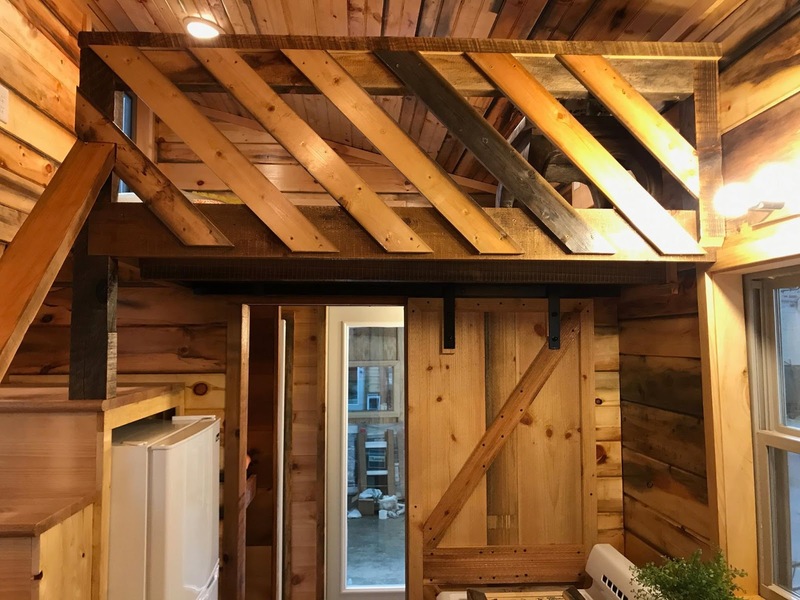 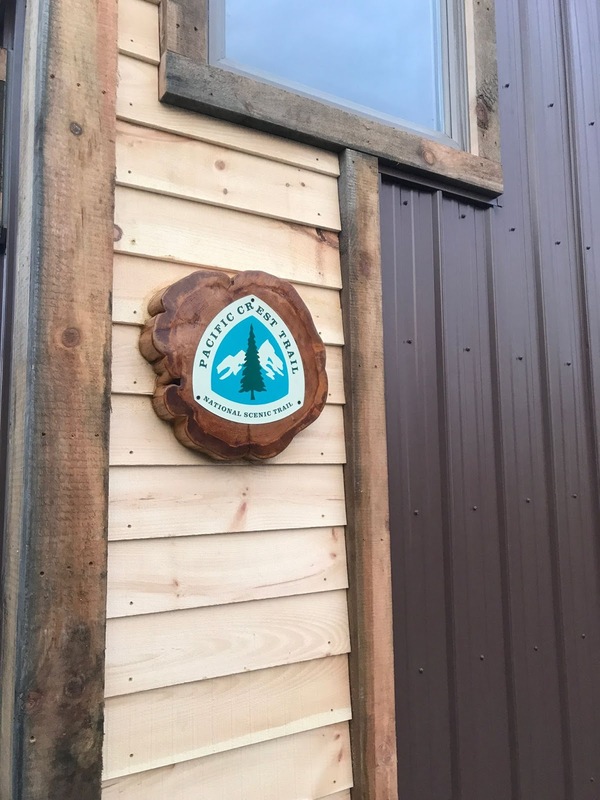 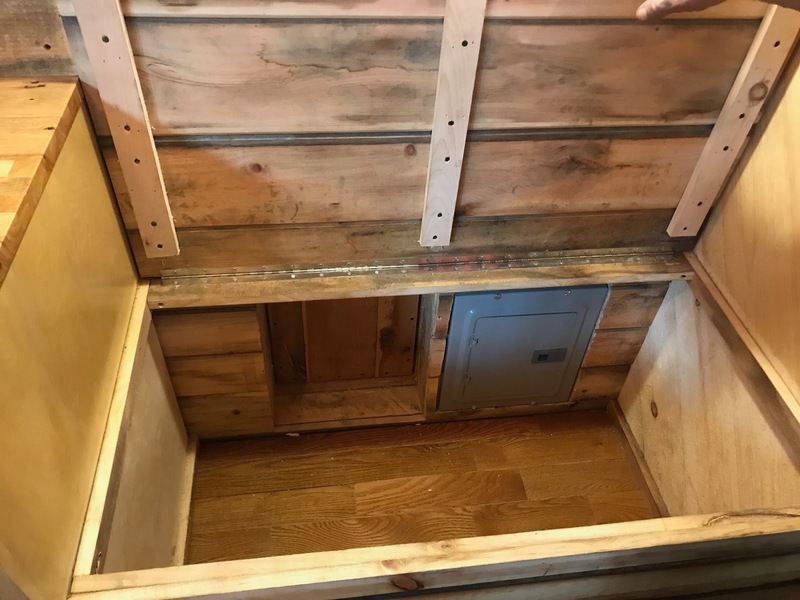 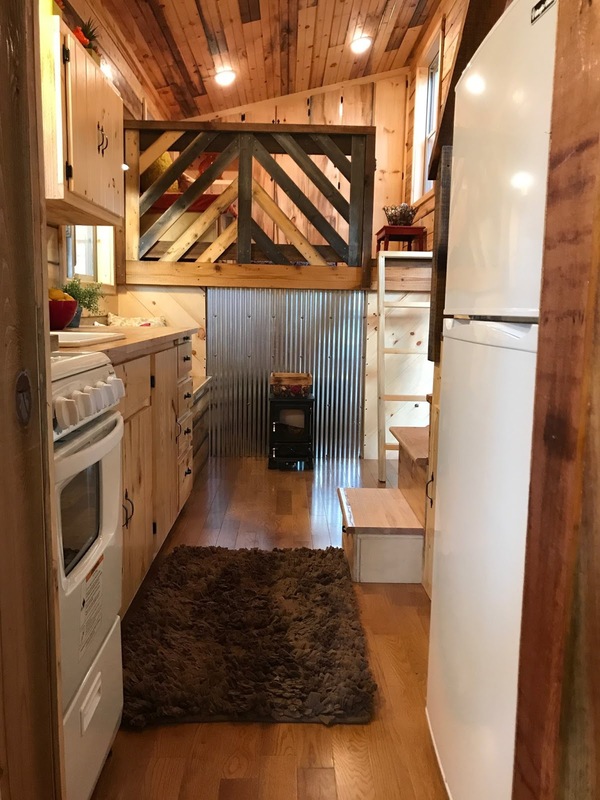 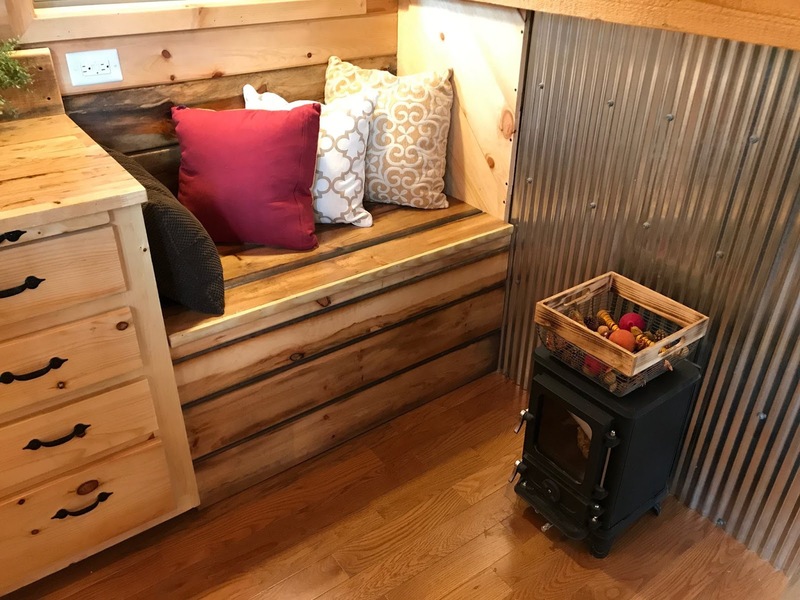 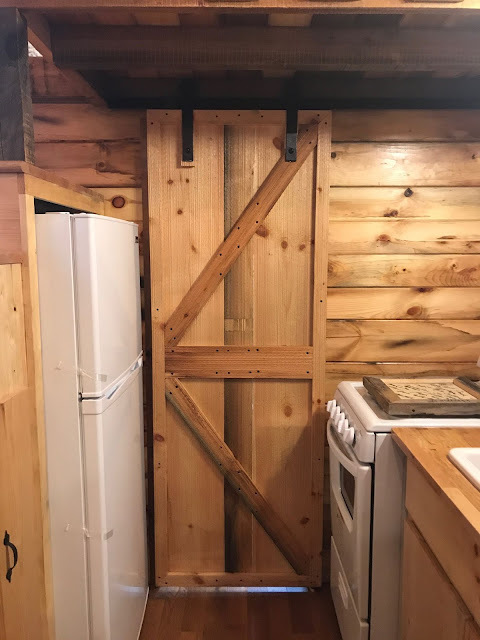 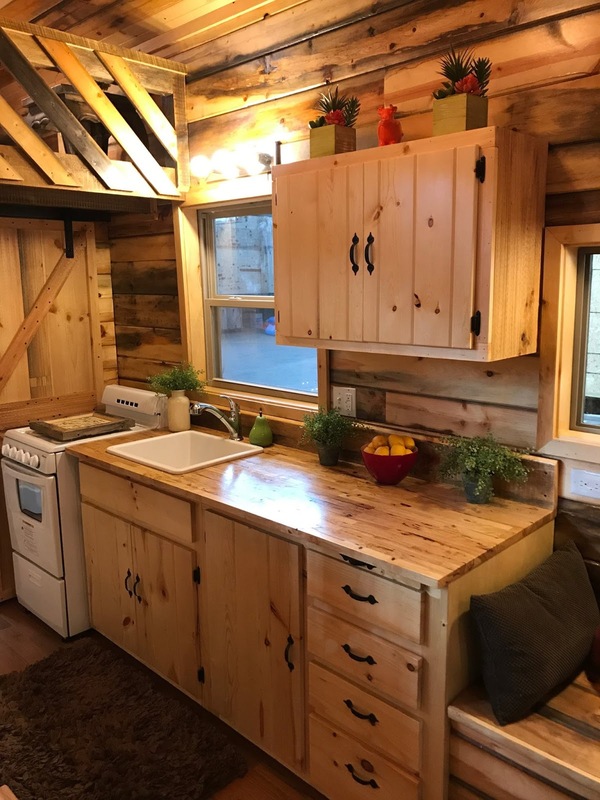 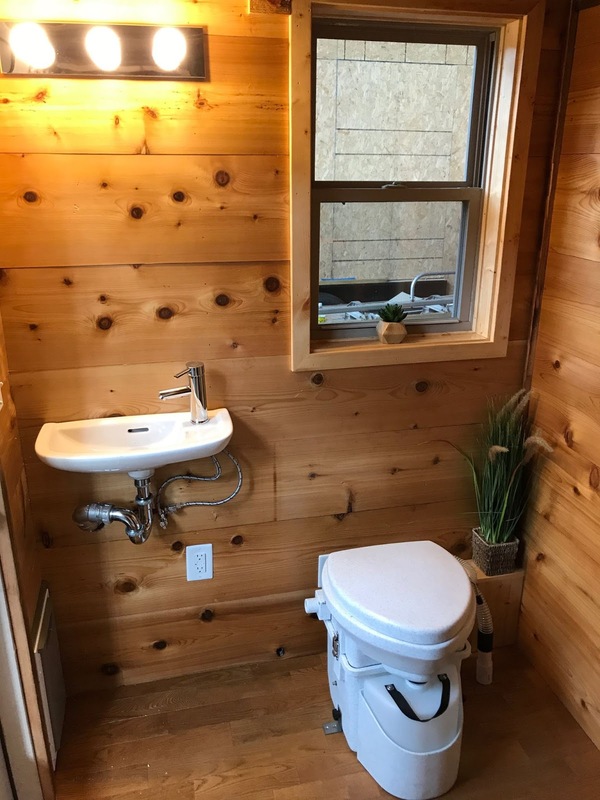 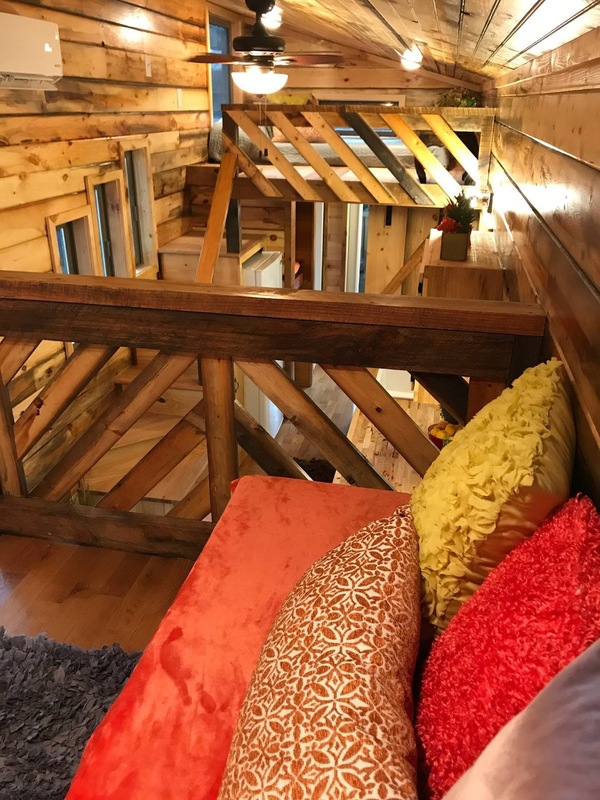 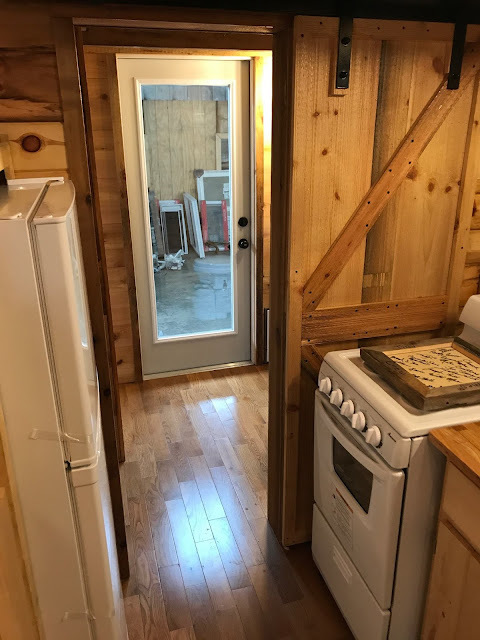 For more information on the Coyote Cabin, contact Incredible Tiny Homes here!